Saffron, obtained from the flower stigmas of Crocus sativusL., is one of the most expensive food spices. The introduction of saffron in alpine areas could help to broaden and diversify the activities of mountain multifunctional farms, with a positive impact on economy and land management. According to ISO 3632 (2010/2011), saffron can be classified into three categories of quality (I, II, III) depending on the concentration of the three main metabolites responsible for its characteristic colour, flavor and aroma: Crocin, Picrocrocin and Safranal. 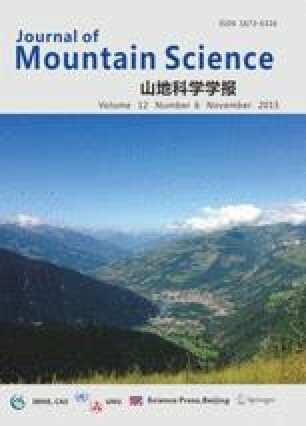 This study represents the first investigation of the quality of saffron produced in the Italian Alps evaluated with spectrophotometry, HPLC, solid-phase microextraction (SPME), and gas chromatographic analysis combined with mass spectrometry (GC/MS). The experiments used Crocus sativus stigmas produced in 2012-2013 in different areas of the Central Italian Alps were located at an altitude between 720 and 1200 m a.s.l.. Results obtained were compared to commercial saffron. The analyses confirmed that all samples can be classified in the first quality category according to the ISO classification. This high quality is also confirmed by HPLC analysis. Moreover, the SPME-GC/MS analysis identified some differences in the aromatic profile of saffron samples, in particular regarding safranal concentration. A preliminary assessment of the economic viability of high quality saffron production for local markets was also performed. Our study provides valid information regarding the quality and economic sustainability of saffron production in the alpine area confirming this crop as a good candidate for a new source of income for multifunctional farms in mountain areas.